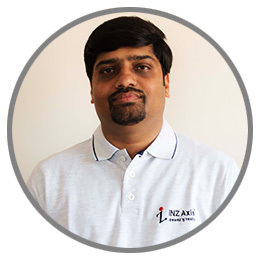 INZ Axis is a reputed name in the world of product development companies, which has specialized in designing, building and deploying innovative SaaS based applications for the Indian Education Segment. INZ Axis was unveiled to the world in the year 2009, post successful experiments in the stealth mode for a few years. Our flagship product OPTRA is a huge success, transforming how institutions and parents communicate with each other. iLearn and eVal are few other products tailor made for this segment. Sharan is the far-sighted entrepreneur behind INZ Axis. With an engineering background and work experience spanning 17 years across multiple speciality areas like sales, stratergy and product conception, he brings in the unique mix of technological abilities and a keen business sense. Sharans instinctive ability to inspire and lead people through confidence, logic and fair play helped him build a great team, which reflects in INZs products and services. Sharans focus, dedication and involvement in the education domain in Bangalore have made him a well-recognized name and face. His involvement extends from working closely with the PU and 10th Boards of Karnataka to being a valued member of the Special Interest Group (SIG) on Education of the TiE Bangalore Chapter. Perhaps there's no school or college which hasn't heard about him. One can safely say that Sharan's reputation, network and work credentials make him a brand by himself. Sharan is a Mechanical Engineer from Bangalore University and has completed an Executive Program from IIM Bangalore. He has held Sales and Support roles for Europe and American regions, in large IT & BPO Companies such as 24/7 Customer and e4e Business Solutions before launching INZ Axis. Prasanna is an Electronics Engineer with passion and expertise in IT & Support. Over 17 years of rich experience in Technology with Support, his focus in INZ is to strengthen the Technology and Service delivery wings. Prasanna has earlier worked for many MNC's like Wipro Infotech, e4e Business Solutions, Bharti Airtel among others. , before joining INZ Axis. Savitha is a founder-member at INZ and heads the operations division. She is an Engineer from SIT Tumkur, with over 17 years of work experience in Software Testing and Support. She has worked at reputed IT Companies such as Virtual E3D, ISPL & Compassites before joining forces with the founding team at INZ Axis. 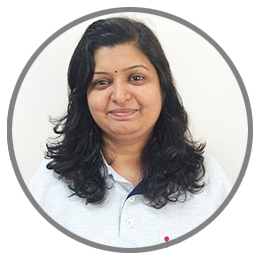 A people person, Savitha excels at managing and delivering customer support in a timely and professional manner. Her secret? Understanding customer requirements and aligning service delivery accordingly. She rightly believes that good customer service is as important as a good product! 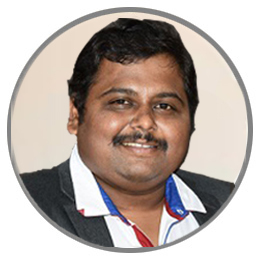 Sagar M Prabhakar is the Director and heads the Sales & Marketing division . Over 10 years of experience in this domain, he identifies opportunity where everyone visualize it as an obstacle. With the prior experience of building an Organization he understands that failure is a part of the process of achieving success. He is proactive and enthusiastic, boosting the energy of the team and in turn manage to get the whole team working to their full potential and bring in results.